Hello fellow TT & J readers! I’m Kara from Creations by Kara, where I share everything from recipes to DIY home decor. 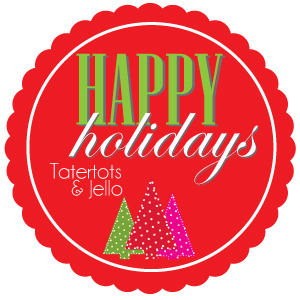 I LOVE the Christmas season, and I’m thrilled to be a part of Jen’s Holiday Series. If you haven’t checked out the previous ideas, make sure you do! Today I am sharing a recipe for sinfully yummy Chex Mix. I’ve made several different recipes for snack mix, but this one is my very favorite! It is ooey, gooey, crunchy, and pretty much irresistible. Which is why I can only make it for Christmas. I can’t stop eating it! It is soooo good! I like whipping up big batches and handing it out for neighbor gifts. I came up with a cute gift tag that goes perfectly not just with this Chex mix, but with any recipe for snack mix that you have. I like to use the shaved coconut from the bulk section of my local health food store because it isn’t as sweet, and it comes in bigger pieces. But a regular bag of sweetened shredded coconut will work if that’s all you have. Oh my. Doesn’t this look yummy? Mix cereals, coconut, and almonds in a large bowl. In a heavy saucepan, combine corn syrup, sugar, and butter. Boil for 2 minutes and let cool 2 minutes. Pour over cereal mix. Stir well and spread out on cookie sheet to cool. You are sure to score bonus points with your neighbors if you deliver some of this amazing snack mix for Christmas! I just love wreaths! 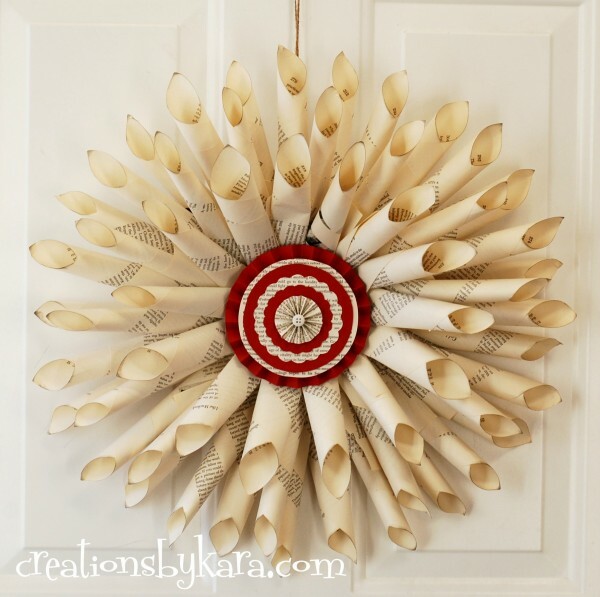 This Christmas Book Page Wreath is so creative and it’s interchangeable too!! 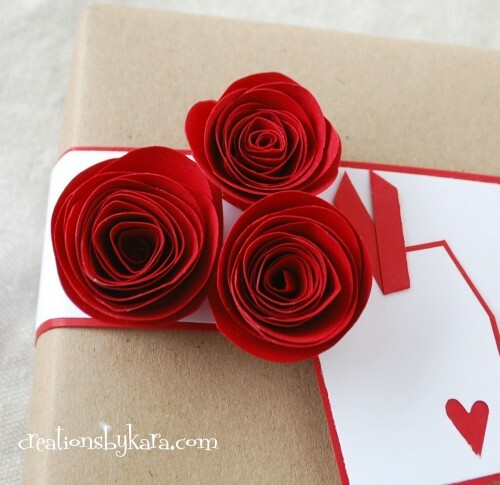 And, I absolutely love these Rolled Paper Roses! Really, you could use them for Christmas, or Valentine’s day or anytime! They are so pretty and classy for gift giving! 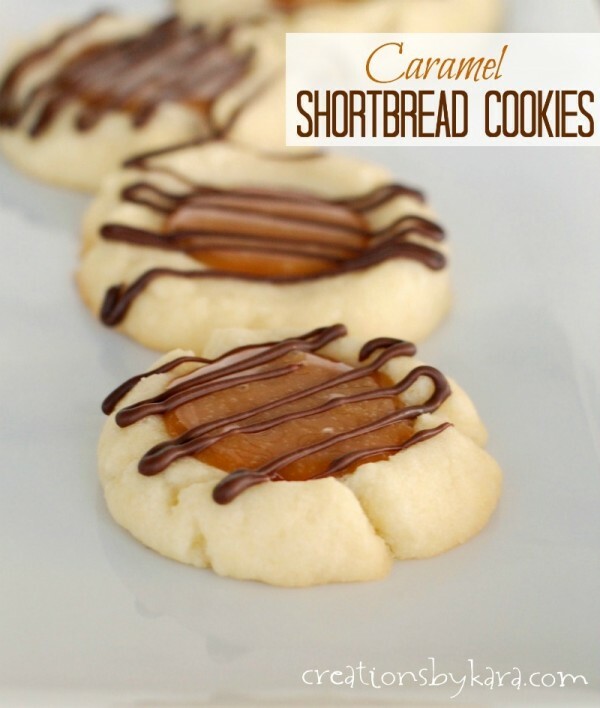 These Caramel Shortbread Cookies are another delicious recipe of hers that would be perfect for gift giving, or eating up all by yourself! like to use the shaved coconut from the bulk section of my local health food store because it isn’t as sweet, and it comes in bigger pieces. But a regular bag of sweetened shredded coconut will work if that’s all you have. Mix cereals, coconut, and almonds in a large bowl. In a heavy saucepan, combine corn syrup, sugar, and butter. Boil for 2 minutes and let cool 2 minutes. Stir well and spread out on cookie sheet to cool. Love this idea for neighbor gifts. Where did you get the bags? Thanks! I usually buy my bags at Walmart, they are in the gift wrap section. They don’t always have the clear ones, so when I see them I stock up! Thanks for sharing your awesome recipe and printable Kara!! Jen recently posted…Make Coaster & Ornament Initial Gift Tags [And Win a $100 Shutterfly Gift Certificate]!